Huping Hu, PhD, JD, is a biophysicist and attorney. He was born in 1962, married to Maoxin Wu, MD, PhD in 1986 and has two children Alice and Allen with Wu. He obtained his B.S. in chemistry from Shanxi Agricultural University in China in 1983 and M.S. in biophysics from Lanzhou University in China in 1986. 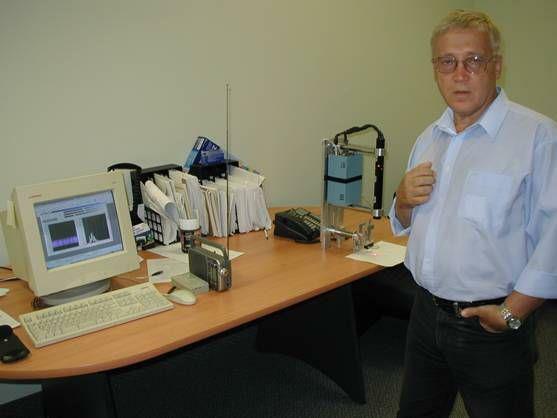 He came to the United States in January 1987 and obtained his Ph.D. in biophysics from University of Illinois at Urbana-Champaign in 1991 and J.D. from New York Law School in 1998. He is currently the President of QuantumDream, Inc., a R&D company established in 2003, President of Scientific God Inc., a non-profit organization established in March 2010, and principal of the Law Office of Huping Hu. He is admitted to practice law in the State of New York, the U.S. District Court for the Southern District of New York and the U.S. District Court for the Eastern District of New York. Among his achievements, he is the proponent, in collaboration with Wu, of the oxygen pathway perturbation hypothesis that says general anesthetics produce unconsciousness by perturbing oxygen pathways in neural membranes and proteins and the spin-mediated consciousness theory that says spin is the linchpin between the mind and brain, that is, spin is the mind-pixel. Further, he has recently discovered, in collaboration with Wu, evidence of nonlocal effects of chemical substances on the brain produced through quantum entanglement and evidence of nonlocal chemical, thermal and gravitational effects which support the notion of a quantum brain and demonstrate nonlocal signaling and nonlocal gravity. He has recently also proposed, in collaboration with Wu, the principle of existence which is a theory of everything based on prespacetime (Consciousness). He is also the founder of Scientific God Institute aimed at scientific inquiry on God and the issuance of Scientific GOD Prize and Science Association for the New Millennium aimed at a new paradigm of science. In the same vein, he has written a Cyberspeech calling all men and women of Science and Reglion to rise up in the pursuit of truth and an Editorial reflecting on the current state of science, religion and consciousness. 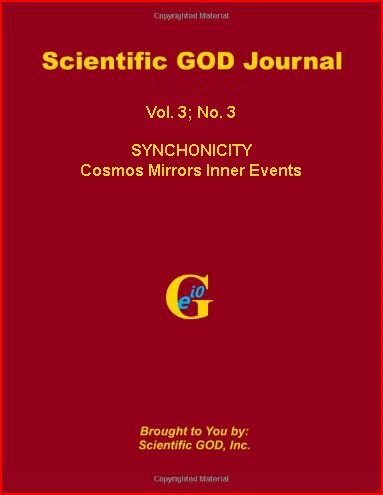 In January 2010, he and Wu also founded Scientific GOD Journal , Journal of Consciousness Exploration & research , and Prespacetime Journal. 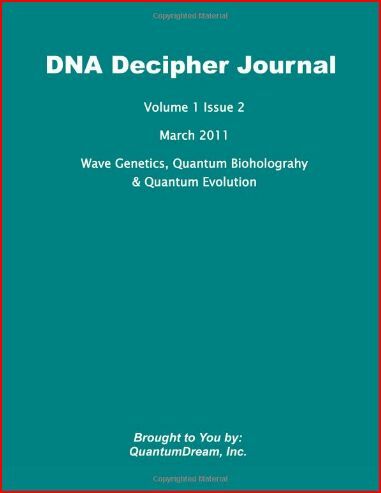 Then in January 2011, he and Wu founded DNA Decipher Journal. He currently serves as the chief editors of these four journals. JNLRMI is an open online journal offering its readers a forum for the scientific investigation of our human potential. 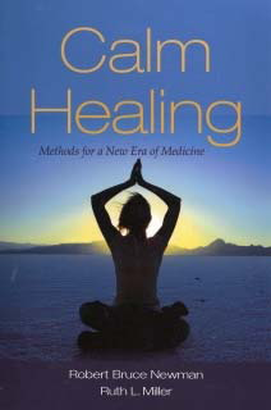 Based on current research in physics, parapsychology and complementary medicine, and drawing on the discipline of meditative arts such as qigong, the discussion will revolve around the nature of space-time, causality, and individual selves; focused intentionality as a tool for shaping personal and social reality; the cultivation of mental energy and "psi" abilities; and the creation of global resonance to ensure a peaceful, meaningful and humane future for our planet. 5. establish contacts with potential sponsors for future experimental studies. ICRL is an international, interdisciplinary, and inter-generational consortium of some 75 members, most of whom have been associated with the Princeton Engineering Anomalies Research (PEAR) laboratory as interns or research collaborators over its thirty-year history. Our goal is to extend the work of PEAR into a broader range of inquiry; to encourage a new generation of deeply creative investigators to expand the boundaries of scientific understanding; and to strengthen the foundations of science by reclaiming its spiritual heritage. Ultimately, we seek to integrate the subjective and objective dimensions of human experience into a self-reflexive Science of the Subjective. mind and its ultimate source. Elevation of the subjective capacities of consciousness to complementary status with the more objective physical senses, along with recognition of the bi-directional capabilities of both categories, allows establishment of resonant channels of communication between the mind and its source environment that can exceed conventional expectations. In this manner, order can be introduced into randomicity, and self-consistent realities can be extracted from transcendent chaos. The key elements in tuning these channels to amplify such information creation are the physiological and psychological filters imposed upon them, some of which can be enhanced or altered by conscious or unconscious attention. Specifically, such attitudinal tactics as openness to alternative perspectives, utilization of transdisciplinary metaphors, self-sacrificial resonance, tolerance of uncertainty, and replacement of dualistic rigor by mental complementarity can enable experiential realities that are responsive to intention, desire, or need, to an extent consistent with prevailing empirical evidence. MRU VIDEO -- "NEED TO KNOW"
The idea for a Quantum Biology Network started at the end of 2005. At that time I was reading two books that fascinating me, they were: The Holographic Universe - Michael Talbot and The Road to Reality - Roger Penrose. These readings stimulate my curiosity and I began to collect several informations through the web among Quantum mechanics and Consciousness. As a scientist and not only a reader, I selected very quickly the informations among the enormous quantity of material spreaded throughout the web and I started to form a personal background on this topic. At the beginning of 2006 I started my activity as Human Biocatalists (HB). I coined the term in analogy with the topic of my research. In Biocatalysis an Enzyme do nothing but accelerating the chemical reaction between chemical entities (Substrates) to form, in a very fast way, the Products. This metafora will be very useful to exemplify what I did at the beginning of January 2006. An enzyme does not catalyze every reactions because of its selectivity, in the same way, as a HB I followed my intuit in contacting some scientists and proposing them a sort of exchange and collaboration between us. The first people I contacted were Stuart Hameroff and Jack Tuszynski. The idea shared with them was to partecipate to "Toward a Science of Consciousness 2006 - April 4-8, 2006, Tucson, Arizona" and during the conference to start a project in collaboration. In the next weeks I met some other people, Paola Zizzi and Giulia Battilotti in Padova, Giacomo Mauro D'Ariano and Lorenzo Maccone from the Quantum Information Theory Group in Pavia, Eliano Pessa and Stefano Govoni in Pavia too. The discussions were always interesting and stimulating and the idea of creating a Network started to grow. In the middle of February a dramatic event in my life stopped any activities as HB. At the end of February I felt completely inhibited and I needed to interrupt my connections with the partners that nevertheless were very kind with me and understood the difficulty I was living. I disregarded the Tucson Conference and I took seven months to recover myself and start again my activities. At the beginning of September some connections were restored (Paola Zizzi and Eliano Pessa) and the works restarted with the creation of this website. The Network was born officially the 28th October 2006 by the Sala del Maggior Consiglio - Palazzo Ducale - Venezia. The observation of interference patterns in double-slit experiments with massive particles is generally regarded as the ultimate demonstration of the quantum nature of these objects. Such matter–wave interference has been observed for electrons1, neutrons2, atoms3, 5, 6, 7 and, in contrast to classical physics, quantum interference can be observed when single particles arrive at the detector one by one. The build-up of such patterns in experiments with electrons has been described as the “most beautiful experiment in physics”8, 9, 10, 11. Here, we show how a combination of nanofabrication and nano-imaging allows us to record the full two-dimensional build-up of quantum interference patterns in real time for phthalocyanine molecules and for derivatives of phthalocyanine molecules, which have masses of 514 AMU and 1,298 AMU respectively. A laser-controlled micro-evaporation source was used to produce a beam of molecules with the required intensity and coherence, and the gratings were machined in 10-nm-thick silicon nitride membranes to reduce the effect of van der Waals forces. Wide-field fluorescence microscopy detected the position of each molecule with an accuracy of 10 nm and revealed the build-up of a deterministic ensemble interference pattern from single molecules that arrived stochastically at the detector. In addition to providing this particularly clear demonstration of wave–particle duality, our approach could also be used to study larger molecules and explore the boundary between quantum and classical physics. "Doubly-even self-dual linear binary error-correcting block code," first invented by Claude Shannon in the 1940's, has been discovered embedded WITHIN the equations of superstring theory! Why does nature have this? What errors does it need to correct? What is an 'error' for nature? More importantly what is the explanation for this freakish discovery? Your guess is as good as mine. Biologists may have little cause to envy physicists — they generally enjoy more generous funding, more commercial interest and more popular support. But they could have been forgiven a moment of physics envy last December when, after a week of build-up and speculation, researchers at the Large Hadron Collider (LHC) near Geneva in Switzerland addressed a tense, standing-room-only auditorium. All this led Nature to wonder: what fundamental discoveries in biology might inspire the same thrill? We put the question to experts in various fields. Biology is no stranger to large, international collaborations with lofty goals, they pointed out — the race to sequence the human genome around the turn of the century had scientists riveted. But most biological quests lack the mathematical precision, focus and binary satisfaction of a yes-or-no answer that characterize the pursuit of the Higgs. “Most of what is important is messy, and not given to a moment when you plant a flag and crack the champagne,” says Steven Hyman, a neuroscientist at the Broad Institute in Cambridge, Massachusetts. Nevertheless, our informal survey shows that the field has no shortage of fundamental questions that could fill an anticipatory auditorium. These questions concern where and how life started — and why it ends. Is there life elsewhere? In 1964, palaeontologist George Gaylord Simpson wrote a stinging dismissal of exobiology, the search for life on other planets. “This 'science' has yet to demonstrate that its subject matter exists!” he wrote1. The searing critique caused many researchers in the nascent field to shy away from exobiology. But it was unfair, says planetary scientist Christopher Chyba of Princeton University in New Jersey. Chyba has for years been comparing the search for life on other planets to the search for the Higgs: another quest whose subject has never been proved to exist. “Why should we suddenly become giggly when it is biology at stake, rather than physics?” Chyba wrote in a 2005 rebuttal to Simpson's attack2. The search for extraterrestrial life can be described as one way to test “a standard model of biology”, says astrobiologist Chris McKay of the NASA Ames Research Center in Moffett Field, California. “It's the model of DNA and amino acids and proteins and a genetic code,” he says. “It's the common features of all biology, and the framework through which everything we know about life is based.” If life fundamentally different from this standard model — perhaps relying on a wildly different biochemistry — were found on another planet, it would show that there is more than one way to produce a living system, he adds. But whereas the Higgs-hunters in Geneva have a good idea of what to look for, astrobiologists seeking alternative forms of life face a bigger logistical challenge: figuring out what clues are most revealing. The chemical signatures of compounds that are commonly associated with life, such as methane or liquid water, could identify planets to focus on. But atmospheric signatures of life are unlikely to be convincing, says Chyba. Within the Solar System, McKay puts his money on three habitats as most likely to harbour life: Enceladus, an icy moon orbiting Saturn that, according to NASA's Cassini spacecraft, probably has liquid water and is spewing organic material from cracks in its surface3; Mars, but “old Mars, not Mars today”; and Jupiter's moon, Europa, whose icy surface masks tantalizing seas of water. The Mars Science Laboratory, scheduled to land on the red planet in August, will include a simple mass spectrometer and a laser spectrometer, enabling it to detect methane, and could reveal preliminary signs of life. But the mission is not designed to yield definitive evidence. Is there foreign life on earth? Alien life — and a Higgs moment — might also be lurking close to home. Some have postulated the existence of a 'shadow biosphere' on Earth, teeming with life that has gone undiscovered because scientists simply don't know where to look. It could contain life that relies on a fundamentally different biochemistry, using different forms of amino acids or even entirely novel ways of storing, replicating and executing inherited information that do not rely on DNA or proteins. The trick is deciding what to look for and how to detect it. The usual way that researchers search for new organisms — by sequencing DNA or RNA — will not pick up life that does not depend on them. Some scientists have speculated that desert varnish, a peculiar dark-coloured coating of unknown origin found on many desert rocks, could be a product of a shadow biosphere. Benner suggests looking in nooks and crannies that cannot support conventional life, such as areas with extremely high temperatures, radiation levels or harsh chemical environments. Felisa Wolfe-Simon, now at the Lawrence Berkeley National Laboratory in Berkeley, California, and her colleagues took this approach when they searched for life in the arsenic-rich environment of California's Mono Lake. In late 2010, they reported the discovery of a life form that can use arsenic in place of phosphorus in its DNA and proteins — a seemingly remarkable departure from conventional life4. But at least one attempt to reproduce the result has failed. How did life start…? Even if alternative forms of life elude scientists, a fuller picture of how familiar life originated on Earth would surely create ripples in biology. Joyce says that there will come a point at which researchers learn how to synthesize an evolving, replicating system from scratch. Getting there won't have the “monolithic, big-science march across the goal line” that has characterized the search for the Higgs, he cautions. But it will answer a key biological question: what does it take to create life from a primordial soup? And that could provide insight into how life on Earth began. “We'll never know for sure, but at least you can test plausible hypotheses,” says James Collins, a synthetic biologist at Boston University in Massachusetts. Several labs have already made headway. Joyce and his collaborators have pioneered work on the RNA-world concept, in which RNA molecules, capable of encoding information and catalysing chemical reactions, replicated and evolved faster than they degraded. RNA is notoriously unstable, and the idea is that, over time, this system gave way to DNA, a sturdier system for storing information, and proteins, a more versatile mode of catalysing reactions. “The transition to DNA and protein created the potential to evolve into more complex things,” Bada says. Jack Szostak and his colleagues at Harvard Medical School in Boston have taken a different approach, enclosing RNA molecules in fatty-acid vesicles as an early step towards the creation of a primitive cell. The vesicles grow and divide spontaneously, but the genetic material does not replicate without the aid of an enzyme6. Some eight months after the publication of Partridge and Barton's review, Cynthia Kenyon and her colleagues at the University of California, San Francisco, reported that mutations in a single gene allowed the nematode Caenorhabditis elegans to live more than twice as long as usual8. Three years later, a group led by Andrzej Bartke, who studies ageing at Southern Illinois University in Springfield, reported that mice bearing a single mutation that causes hormonal deficiencies live up to 68% longer than mice without the mutation9. Both papers, and a slew of work since, have suggested that it might be possible to significantly slow human ageing and its associated diseases. Such an intervention could have a tremendous impact on society, adding years of health and economic productivity, but creating new strains on a society having to support many more older people. And scientifically, the ability to slow ageing would address Higgs-like fundamental questions about human life: why do we age; what pathways control it; and what are the consequences if they are switched off? There are signs that such interventions may exist. In 2010, Miller and his colleagues showed that feeding mice a drug called rapamycin lengthened their average lifespan by 10% for males and 18% for females10. And slashing calorie intake by 25–40% can extend lifespan in mice and other mammals. But there is no proof that these approaches would work in humans and, even if they did, neither is likely to catch on: rapamycin can suppress the immune system, and few people can tolerate brutal dietary restriction. Miller has a different goal. “We will have the answer when we have something that we can put in dog food that extends the average dog's lifespan by 15 to 20%,” he says. Dogs offer an ideal intermediate between mice and humans, says Miller: they are considered a long-lived species and live side-by-side with humans. At this point, a life-extending therapy seems a much more distant prospect than does confirmation of the Higgs boson. Last month, researchers announced a bump in data from the Tevatron, the US particle collider at Fermilab in Batavia, Illinois, that is consistent with results from the LHC. It has added to physicists' excitement that they are on the threshold of discovery. Simpson, G. G. Science 143, 769–775 (1964). Chyba, C. F. Science 308, 495–496 (2005). Postberg, F., Schmidt, J., Hillier, J., Kempf, S. & Srama, R. Nature 474, 620–622 (2011). Wolfe-Simon, F. et al. Science 332, 1163–1166 (2011). Lincoln, T. A. & Joyce, G. F. Science 323, 1229–1232 (2009). Mansy, S. S. & Szostak, J. W. Cold Spring Harb. Symp. Quant. Biol. 74, 47–54 (2009). Partridge, L. & Barton, N. H. Nature 362, 305–311 (1993). Kenyon, C., Chang, J., Gensch, E., Rudner, A. & Tabtiang, R. Nature 366, 461–464 (1993). Brown-Borg, H. M., Borg, K. E., Meliska, C. J. & Bartke, A. Nature 384, 33 (1996). Miller, R. A. et al. J. Gerontol. A Biol. Sci. Med. Sci. 66, 191–201 (2011). There are two complementary descriptions of reality, subjective and objective. Wave and particle are mental concepts in the subjective description and complementary objective features in the physical description. It is fallacious spiritual-physicali sm to claim the particle aspect is physical and wave is not. 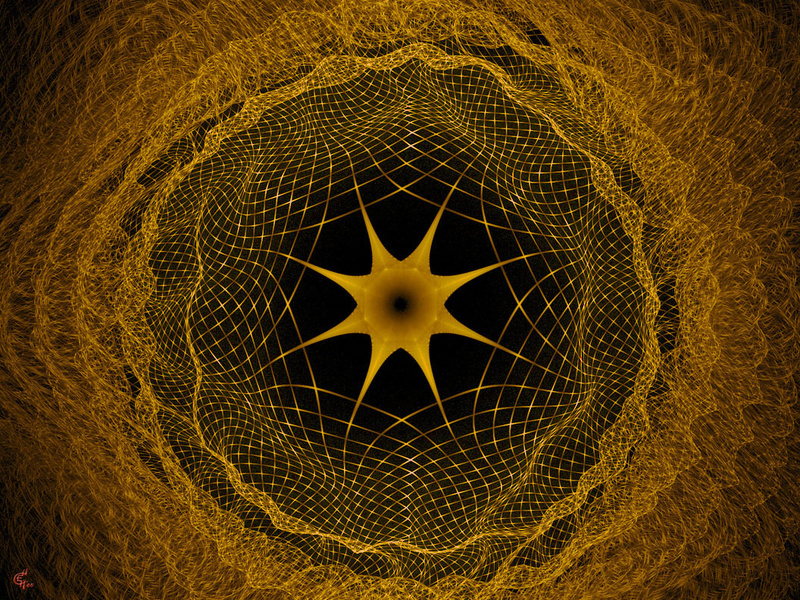 The physical evidence for the wave aspect is as precisely manifest as the particle aspect. Every rainbow verifies this. We only know the particulate electron energy levels of the hydrogen atom from looking at a wave spectrograph and finding some frequencies are missing corresponding to the energies of electron orbit transitions in the hydrogen in space. This in turn is how we know the universe is expanding, from the red shift of these lines. As noted no quantum particle can exist with an energy and momentum without manifesting the wave aspects of frequency and wavelength. Angell also has a deep confusion between the EM field and the wave aspect. The field is not the wave. The field can be described as a sea of virtual photons emerging from uncertainty, a few of which also briefly become virtual electron-positron pairs. If we feed energy into the EM field some of the virtual particles become real, as in a radio transmission. As already stated, quantum electrodynamics describes the field in terms of an uncountable infinity of virtual particles propagated by a wave-theoretic Green's function, so although the field is described by particles, they propagate through wave spreading, resulting in a complementary description. To identify the field with electrons is a clunker showing how little physics the person actually understands. Electrons and all charged particles have the capacity to emit and absorb photons thus generating the EM field through the charge distribution. They are thus not the natural constituents (carriers) of the field. The photons, being uncharged, are likewise not generators. The weak force behaves a little differently because the carriers can also be generators. From a subjective point of view, both wave and particle are abstract concepts we subjectively apply to phenomena we personally experience, from the rainbow on a CD (wave) to the ticking of a Geiger counter (particle). Most of the subjective evidence for either comes from the wave aspect, as manifest in particle statistics, although we physically detect light as particles in the rhodopsin of our retinas. To claim the wave is unphysical and the particle is physical is to have no idea of the relation between mind and body at all. This is just a manifestation of toad faced hubris pure and simple. The Mind-Brain list is full of individuals who love to stare at the navels of their own dialectic with little or no relevance to either subjective experience or the physical universe. The idea of time as an illusion has come under attack from multiple scientific directions; here are a few of the major arguments against time as an illusion. Prigogine: The directionality of time is due to the fact that there are many particles , which form resonances and singularities such that the future is not longer predictable from the initial conditions. The generation of entropy in chemical and biological process, according to Prigogine, shows that there is a directionality to time. Even more, Prigogine argues that systems far-from-equilibrium exhibit a 'history.' Examples are system with hysteresis or biological evolution. So, for Prigogine, the directionality of time and the meaning of time stems from systems far-from-equilibrium. The concept of time disappears once the system reaches equilibrium. And interestingly, the entropy of a system (either in equilibrium or far-from-equilibrium) is not a function of position, velocity, or angle at which one views the system. So, entropy and special relativity are not at odds with each other, even though absolute time and special relativity are at odds with each other. The Weak-Nuclear Force is not time reversal symmetric : This line of reasoning argues that the directionality of time is due to the fact that the weak nuclear force does not have the symmetry operator of time inversion. This idea stems from the fact that the weak-nuclear force does not conserve parity, and hence this force is not symmetry with respect to reflections of spatial direction, i.e. there is a preferred direction for particle interactions involving the weak-nuclear force. Using relativity to equate spatial and time dimensions, the lack of spatial reflection symmetry implies the lack of a time reflection symmetry operator. The directionality of time is due to the fact that the universe is expanding. This argument tries to conclude that entropy always increases because the universe is expanding, and hence entropy would always decrease if the universe were contracting. This argument is most likely incorrect because if the equations of motion are deterministic, then they are time reversible, even if it's expanding or contracting. It seems that there could still be irreversible processes that lead to loss of information in a contracting universe. It seems hard to believe that the Rosen-Curie Symmetry principle (i.e. that the symmetry of the future is greater than the symmetry of the past) could ever be violated. Why would a contracting universe imply that the symmetry of the future is less than the symmetry of the past? The directionality of time is due to the fact that the quantum wave function must collapse when the wave is measured. This argument suggestions that there is a directionality to time because a particle must either be spin up or spin down, but before it was measured it could have been either spin up or spin down. The act of measurement is irreversible. Once measured to be spin up, it can't be in the spin down state until a future interaction with another particle. But this argument isn't very convincing because the real question is: how is information about the state of the particle lost in future interactions? The loss of information is what we mean when we state that the entropy of the universe is always increasing. 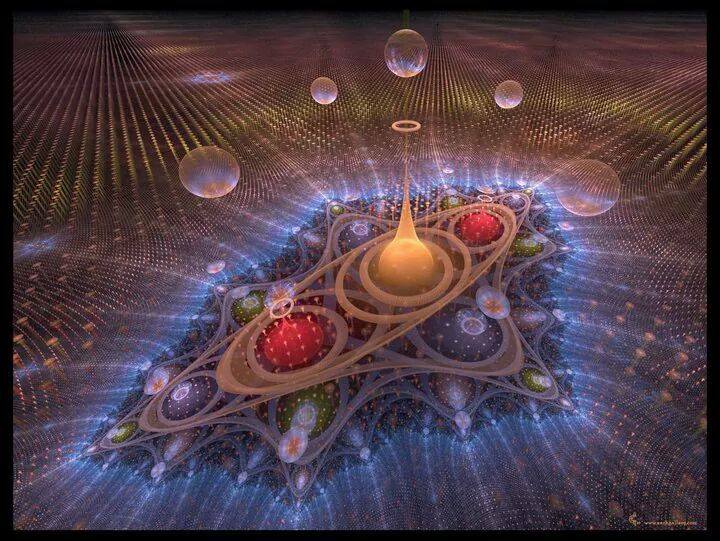 It's not clear what the wave function collapse has to do with increase in entropy of the universe. In fact, it's the opposite that is more important. Once the state of the particle is known, how does the wave function of the particle uncollapse and go back into a probability? This appears to be the real source of irreversibility, and this seems to require that at least one of the forces of nature to be time irreversible. So, these are the four main reasons given for a directionality for time: 1) entropy production for multi-particle interactions; 2) time irreversibility of the weak nuclear force; 3) the expansion of the universe; and 4) the wave function collapse. I personally think that the reason for the directionality of time is a combination of 1) and 2). This means that, in order to have a directionality to time and to talk about the 'history' of a system, you need: 1) a system far-from-equilibrium and 2) a force, such as the weak nuclear force, that does not have a time reversal symmetry operator that commutes with the Hamiltonian of the system. I think that 3) and 4) are not the reason why there is a directionality to time, and I think that Einstein is wrong when he stated that time is an illusion. But I understand where Einstein was coming from because it wasn't until after his death that we realized that the weak nuclear force could be time irreversible. Without the irreversibility of this force of nature, I find it difficult for us to talk about a directionality to time. "They say that shortly after the creation of the neutron star, protons would combine to form Cooper pairs, so creating a superconducting state by virtue of their charge. Bound up in this way, the protons would not be able to take part in various neutrino-emitting reactions that occur in non-superfluid matter, reducing cooling early on in the life of the star and leading to a sharper drop in temperature later on." I think that this quote pretty much explains why I think that the weak nuclear force is actually the reason for the directionality of time. Check out the article above. Two independent research groups suggest that there are still some protons inside of the neutron star, and that the reason that they have not yet converted to being neutrons is that they are in a superconducting state, and hence "would not able to part in various neutrino-emitting reactions." i.e. the protons are in a boson-like state and hence aren't able to interact using the left-handed weak nuclear force. I see this as strong, but speculative, evidence that the weak nuclear force (along with non-equilibrium starting conditions) is the reason why there is a directionality to time. The bosons don't interact using the weak nuclear force, so this appears to be why superconductivity and superfluid flow don't generate entropy. IRO EWEKA : THE HUMAN FACE, THE HUMAN MIND AND THE POSSIBILITY OF A MYSTICISM INSPIRED BY BENIN OLOKUN SYMBOLISMby Toyin Adepoju on Wednesday, April 4, 2012 at 9:57am · At 7:45 am on Tuesday, March 13, 2012, a great light shot from the earth into the immensity of space, but left its radiance behind. What features of this luminescence have etched themselves in my mind? Yes. The right word in describing Iro Eweka’s face is the word “numinous”. It suggests the complexity of personality, of a universe of closely woven impressions, perceptions, emotions and orientations defining the perhaps unfathomable depths of the self. Philip Pullman’s novelistic cycle His Dark Materials represents the intricate constitution of personality in terms of a coruscation of energy that projects the dominant mental patterns of the individual, constituting a cloud of symbols that constellate around the person. The more complex the mind, the more dense and complex this coruscation. Victor Ekpuk, evoking the shaping of thought through symbols, creates compelling visual expressions that may suggest this cognitive cloud that defines the abstract form of the individual, unseen but experienced in terms of the distinctive character of the self, the subtle impressions it projects, and its hidden potential, perhaps unknown even to the human being emanating this presence. What is that glowing core of seeds nestling within the forest of forms, both humanoid and abstract, in Ekpuk’s Children of the Full Moon? Is it perhaps the coordinating centres of the brain, alive with the fire fed though blood and the pulsations of mind, weaving the network of impressions, emotions and attitudes into the complex known as a human mind? The forms are strange but compelling, belonging to no known language even as they recall the figurative and abstract combinations of Egyptian hieroglyphs and Nigerian nsibidi, but transposed in terms of an individualistic imagination feeding from many streams. A related sense of something meaningful but which is yet beyond grasp, is suggested by my memory of Iro Eweka. Why was his face so strange? Why did he insist on wearing a white robe and bathroom slippers as he went about his life as a teacher at the University of Benin? How come he presented himself as a consultant psychiatrist and yet taught philosophy of art? He was the first African I knew about who depicted part of his work history as having taught English at the University of Oxford. An African, teaching the English person’s native language at a premier seat of English academic aristocracy? Wow! His legacy in my life emerged decisively decades after I had last seen or interacted with him. I woke up one morning with a revelation of a profound implication of his essay on Olokun symbolism which I had stumbled across online. Revelation, beceause the idea emerged fully formed, without my having given it any attention earlier. In “Olokun Symbols”, which I read at the Institute for Benin Studies site, Eweka painstakingly describes the ideational significance of a sequence of graphic symbols created in connection with devotion to Olokun, believed to be the sentient personality of the world’s oceans, as worshipped in Eweka’s native Benin-city, a very rich but understudied field. What gripped me most forcefully about Eweka’s characterization of these symbols was his careful attention to their unified morphological progression, to their visual forms as representing an unfolding sequence of ideas depicting the unity of Osanobua, the creator of the cosmos, Olokun, the aquatic presence pervasive in the world and the human being, within the context of time and space. Why not draw out clearly the mystical implications of this depiction of Olokun symbols? Is it not possible to take them as an initiatic sequence, enabling a progressive series of contemplations of ultimate meaning as consisting in the unity of the absolute, as represented by Osanobua, and the contingent, as represented by Olokun, the human being and the spatiotemporal coordinates within which these possibilities of being emerge? Perhaps this sequence of ideas could even be related to a development of mystical theory and practice that takes it from the better known effort to immerse oneself in ultimate reality, and use it as a means of cultivating comprehensive understanding of phenomena, since the unity between constituents of the cosmos Eweka describes can be understood as a unity evident in every aspect of existence. Perhaps climbing such a ladder of partial unifications of the various constituents of existence, one may arrive at a self constructed cosmic unity. Such a unity, a theoretical construct shaped by combining various sources, could provide a template for exploring the idea that contemplating such a self created form could enable one move from the theoretical to the experiential, from a purely abstract understanding of cosmic unity to an experience of such a unity. Perhaps from such an experience of cosmic unity one could even travel deeper, transcending knowledge with my thought, in the words of the Christian mystic St. John of the Cross, one’s knowledge becoming swallowed up by the transcendence known in various schools of thought as the foundational nothingness. Śūnyatā, the void of Buddhism, beyond being and non-being. Ain Soph, the Unmanifest of Hermetic Kabala, among similar ideas within explicitly religious and philosophical contexts as well as contexts outside those explicit frames, such as the powerful adaptation of the concept by the writer Wole Soyinka and, in a different epistemic context, the quantum nothing of scientific cosmology. A negation of conventional conceptions created by a convergence of intensities of such force the resulting illumination is akin to darkness, as depicted by Aleister Crowley , on the highest stage of Samadhi, transformative states in the Indian discipline of Yoga. Light a candle and open the windows at midday. The light of the candle disappears. Expose the light of the sun to a greater light of such intensity the radiance of the sun becomes darkness, adapting Crowley’s metaphor of stages of contemplative transformations of perception. I have been on this journey for about two years now and an infinity of possibilities is opening up. I received news of Eweka’s departure as I was preparing to enter the temple of nothingness, so called because is it a series of reflections on nothingness as the most fundamental of expressive forms. Nothingness understood as absence. The absence from light that makes possible the growing life in the womb and in the soil. The pauses between sounds that aids speech becoming legible. The void between the celestial bodies within which they execute their orbits without mutual interference. The emptiness that is the space of non-understanding created by the human being’s sensitivity in the face of the mysteries that define his existence, where he ultimately comes from and where he goes finally. The abyss, the endless zone, resonant with possibilities, from which all issues yet which is beyond all. I was considering what image to use in inspiring myself in this quest though various fields, autobiography, architecture, literature, religion, music and science, exploring the idea of nothingness. The image that began to suggest itself to me on the day I learnt of Eweka’s journey is derived from the indelible impression made on me by the stimulus of his essay on Olokun symbolism. Having been inspired by his essay, I sought out more information on this symbol system and discovered Norma Rosen’s fantastic article “Chalk Iconography in Olokun Worship”, rich with more graphic symbols. I then integrated one of Rosen’s drawings of an Olokun symbol with an Ife head. The collage needs to be repeated with a fresher image from Werner Forman’s photographs in Basil Davidson’s Africa: History of a Continent, and without the tear on the right from carrying the image with me for years, having ripped it out of the family copy of the book in crude expression of admiration well before I bought my own copy of the book. The slightly faded image and the tear remind me, however, of my own history and of my father who specialized in buying general interest but scholarly works for the family library, the Davidson being one such, and taking me also to the inscrutable look on my father’s face that fateful day when I saw him alive for the last time, during an illness in which he repeatedly told me he was passing way while I refused to believe him. What do people think when they know they are leaving this world, particularly if that departure is accepted by them as inevitable? Perhaps there are some kinds of knowledge one may gain that are so beyond the understanding of other humans that this mesh of perceptions reconfigures one’s face to a form others can hardly read. The brooding face of the Ife head suggests elevation of mind while the features are expressive of warm blooded participation in the vagaries of human existence, integrated in a serene understanding within the mind expressed by the face, unlike the lofty remoteness of a Buddha, sublime but removed from involvement in the struggles of life as most humans know it. The mind orients itself within the axis of time and space represented by the centrifugal and centripetal thrust of the arrows of time and the shaping of space, converging at their effusion from eternity within which swim the primal forms that beget the cosmos, represented perhaps by the emergence of the first life forms from primeval seas, by the inchoate forms awaiting manifestation within the great womb that is in everyone while it remains in its essence beyond reach. Let us leave the last word to those who will evoke for us the meaning of the word “numinous” which I have used in describing Iro Eweka’s face. I won’t define the word, though I love its definition in Webster’s Third New International Dictionary of the English Language 1966, derived from Rudolf Otto’s classic use of the term in his Idea of the Holy, because that definition is not precise enough for this present purpose. I will leave Elechi Amadi in his novel The Concubine and Akin Solanke on Iro Eweka, to indicate this meaning. Emenike noticed that the old men averted their faces when the priest appeared to glance at anyone of them; so he decided to stare back whenever the priest’s glance fell on him. His opportunity came before the thought was through his mind. He gazed at the priest and immediately regretted that he had done so, for in the priest’s face he read mild reproach, awe, power, wisdom, love, life and – yes, he was sure – death. In a fraction of a second he relived his past life. In turns he felt deep affection for the priest, and nauseating repulsion which made him want to scream with disgust. He felt the cold grip of despair, and the hollow sensation which precedes a great calamity: he felt a sickening nostalgia for an indistinct place he was sure he had never been to. The tension between fascination and strangeness central to the concept of the numinous is communicated here. He was about the best lecturer that taught me then. He was versatile and deep of mind. His strange facial appearance gave room for ambivalent interpretation of his personality. Because he smoked heavily, he appeared dazed and lost like a drug addict; yet, he looked mysterious and unfathomable. His characteristic white garment and beard created further distance and profundity about his strangeness. I had so much admiration for him. I was always excited anytime his psychology course came up on the timetable and I looked forward to it with great expectation. Prof. Iro Eweka! Gone ... like that? Hmmmmm! He looked untouchable and daring. Of course, Iro Eweka is beyond death. Like he has been for a long time, he lives in the mind of those of us who adore and admire him and his prodigious intellect. Adieu! Dedicated to Mr. Opene, my 3rd year teacher in composition at the University of Benin. His undying summation of written composition : “You are the artist”. As stated in “Isaac Newton in Popular Culture” Wikipedia : “This passage is from William Wordsworth’s The Prelude in which he describes a marble statue of Newton at Trinity College, Cambridge: “And from my pillow, looking forth by light/Of moon or favouring stars, I could behold/The Antechapel where the Statue stood/Of Newton, with his prism and silent face:/The marble index of a Mind for ever/Voyaging through strange seas of Thought, alone.” http://en.wikipedia.org/wiki/Isaac_Newton_in_popular_culture. Accessed 3rd April, 2012. The Wikipedia essay links to the particular page in a Google books search where these lines from Wordsworth’s 1850 version of the Prelude are quoted in J. Robert Barth, Romanticism and Transcendence: Wordsworth, Coleridge, and the Religious Imagination. Columbia : University of Missouri Press, 2003. p. 19. Accessed 29/03/1012. Depicted in the novels The Subtle Knife. London: Scholastic, 1997 and The Amber Spyglass. London: Scholastic, 2000. Visible at various sites online, including the artist’s site at http://www.victorekpuk.com/victorekpuk.com/drawings%28hide%29.html . Accessed 16/02/12. Iro Eweka is designated as Consultant Psychologist/Psychiatrist and Associate Lecturer at the Open University, Bristol, UK, at the text of his lecture “We Are Because He Was” , the 3rd Jacob Uwadiae Egharevba Memorial Lecture on 8th December 2000 at the Oba Akenzua II Cultural Complex, Benin City posted at http://www.edo-nation.net/eghar3.htm. Accessed 16, March 2012. SEO Ogbonmwan, “Adieu Prince ( Professor ) Iro Eweka” Message #58442 on the Nigerian Identity Yahoo Group, Wed, March 14, 2012; 10:12 PM http://groups.yahoo.com/group/NigerianID/message/58442 eulogises Iro Eweka in the context of a survey of his educational and professional history. Accessed 16 March 2012. Iro Eweka, “Olokun Symbols”. Institute for Benin Studies. Accessed 2010. Currently inaccessible. Accessible at Scribd : http://www.scribd.com/doc/87261390/OLOKUN-SYMBOLS-BY-IRO-EWEKA . Accessed 29 , March 2012. This is a conception of cognitive and aesthetic mysticism, involving contemplative discipline, ratiocinative effort, aesthetic appreciation and inspiration. Contemplative discipline facilitates inspirational insights and syntheses that integrate ratiocinative and aesthetic perceptions at a level of greater complexity and depth than would be possible through ratiocinative and aesthetic appreciation alone. I am developing this approach through practice and a study of various sources, including the mystical theory of Maurice Bucke in Cosmic Consciousness: A Study in the Evolution of Human Consciousness. New York : E. P. Dutton, 1969. From St. John of the Cross, “Verses Written After An Ecstasy of High Exaltation” in Poems. Translated by Peter Campbell. Harmondworth : Penguin, 1968. 47. The concept of Śūnyatā, the Void, is developed at length in Buddhism. The Wikipedia article “Śūnyatā” states : “The exact definition and extent of emptiness varies from one Buddhist tradition to another; this can easily lead to confusion. These traditions all explain in slightly different ways what phenomena are empty of, which phenomena exactly are empty and what emptiness means.” A collection of essays that studies this idea and a related one in Christianity is Void and Fullness in the Buddhist, Hindu and Christian Traditions : Sunya-Purna-Pleroma. Edited by Bettina Baumer and John R. Dupuche. New Delhi : D. K. Printworld, 2005. .Judith Simmer Brown, Dakini’s Warm Breath: The Feminine Principle in Tibetan Buddhism, Boston : Shamballa, 2002, expounds in resonant terms on the idea in terms of space, a correlation between voidness, space, being and consciousness that may be adapted to Norma Rosen’s account described below, of the characterization of Olokun in Benin Olokun veneration in terms of the sky. The Buddhist source that has struck me most of the few I have read is the poet Jetsun Milarepa’s summation of his contemplative discipline in the “Song to the Geshé” in Tibet’s Great Yogi, Milarepa : A Biography from the Tibetan. Translated by the Lāma Kazi Dawa-Samdup and edited by W. Y. Evans-Wentz. Oxford : Oxford UP, 1969. 245-247. 246 : “Accustomed long to know the meaning of the Wordless,/ I have forgot the way to trace the roots of verbs and source of words and phrases…”, the “Wordless” being described earlier in the same poem as “the Unborn, the Indestructible and the Unabiding”, being therefore a referent that transcends all forms that structure existence, and consequently “Wordless” since it is beyond conceptualization, language being the primary human means of expressing concepts. Wole Soyinka’s The Credo of Being and Nothingness . Ibadan : 1991, has a graphic description of a self developed void meditation. His The Man Died. London: Rex Collings, 1976 , chapter XXXIII, is centred in a compelling account of the writer’s use of a similar meditation as a means of orienting himself while in solitary confinement, a meditation reflected in his prison poetry A Shuttle in the Crypt. London: Rex Collings, 1972. His development in Myth, Literature and the African World. Cambridge, Cambridge UP, 1990, of the concept of the abyss of transition, a transformative space embodying birth, death and rebirth, in relation to his reflections on space in tragic drama, suggests a relationship between space, voidness and being as central to Soyinka’s aesthetic. Soyinka describestragic dramaas [engaged with] the “profound and elusive phenomenon of being and non-being” and the space within which dramatic action takes place as fundamentally a “symbolic chthonic space [evoking ] man’s fearful awareness of the cosmic context [of his ] existence [shaped by ]the cosmic location of [his] being… [ a space that evokes ] the fundamental visceral questioning [that] intrudes, prompted by the patient, immovable and eternal immensity that surrounds [him] [the reality of which] undented vastness [may have ] created the need to challenge, confront and at least initiate a rapport with the realm of infinity”. The Kabbalistic and scientific development of a related idea in describing the source of the cosmos may be correlated in terms of metaphysical and epistemic conceptions from Western occultism and contemporary scientific cosmology. Relevant sources from Western occultism are Anonymous. The Office of the Holy Tree of Life. No publication information and Dion Fortune. Sane Occultism in Sane Occultism and Practical Occultism in Daily Life. Wellingborough : The Aquarian Press, 1987. 13-119. A particularly useful source from contemporary scientific cosmology is Tian Yu Cao’s “Ontology and Scientific Explanation” in Explanations: Styles of Scientific Explanation. Edited by John Cornwall. London : Oxford UP, 2004. 173-195. Correlations between Western occult and scientific conceptions of the source of the cosmos may be developed in terms of conceptions of ontological distance between the source of the cosmos and the manifest cosmos. These involve ideas about the emergence of the positive manifestation represented by the cosmos from the fecund negativity of the source of existence. It includes ideas about the epistemic implications of a negative conception of ultimate reality. This is an understanding of ultimate reality, not in terms of positive attributes, but in terms of nothingness, nothingness understood as an utter transcendence of conventional cognitive categories. On the ontological distance between the source of the cosmos and the manifest cosmos, the Office of the Holy Tree of Life states “Unidentifiable art thou; and utterly apart from anything thou art “ (11). Tian Yu Cao’s account of scientific cosmology presents a similar idea : “Since nothing has the least possible connection with the observed universe, that is, it has nothing to do with any physical entities and properties, such as particles, fields, energy, momentum, or even any classical space-time substratum, except for being susceptible to quantum fluctuations that are justified by the uncertainty principle of quantum mechanics, we seem to have an ontological basis for explaining the origin of the observed universe in terms of a natural cause, that is, the quantum nothing” ( 192). On the emergence of the positive manifestation represented by the cosmos from the fecund negativity represented by the source of existence, the Office of the Holy Tree of Life declares : “Thou art the void, yet breathest forth vitality and being as Eheieh.Thou art uncreate, yet cause of all creation… Thou art motionless, yet every moving nebula proclaims thy power made manifest through nature” (34).Tian Yu Cao expounds a similar idea in scientific cosmology : “…the quantum nothing… is its own cause of its very existence and of its change, without requiring any further external cause. ...together with the most general principles and laws of quantum theory, the quantum nothing gives an ontological basis for a picture whose coherence and articulateness yield a clear understanding concerning the origin and evolution of the universe” ( 193 ). On the epistemic implications of its negative conception of ultimate reality , the Office of the Holy Tree of Life expounds : “We know we know thee not; and only thus we know thee. We know no symbol for thee; nor have we any name for thee except necessity of nothing. Our solitary means of recognizing thy reality is inwardly through inward stillness of our sense” (11). Dion Fortunedevelops this idea “…it is said of the Mysteries that the candidate was led on from degree to degree and shown more and more recondite symbols of the Godhead, and at the end, when the final curtain was drawn aside, was revealed to him an empty shrine and a voice whispered in his ear, ‘There is no God’‘. …the Logos can only be apprehended by those who can meditate in an empty shrine, that is, to say, those who can think without a symbol. The training of the degrees is designed to teach the mind to rise to the abstract and transcend thought, for it is only when thought ceases that apprehension begins. ...the occult doctrines are a system of algebra that enables the mind to function beyond the range of thought ( 19). Tian Yu Cao’s account of scientific cosmology also locates a negative conception of the source of the cosmos in a transcendence of conventional cognitive categories : “Since whatever is physically imaginable is physically connected with our observed universe, ( namely all possible events that are compatible with the observational evidences that we have obtained hitherto), then nothing which is physically imaginable could be responsible for the genesis of the universe. “ (190-191). Aleister Crowley Magick: Liber Aba : Book Four. Boston: Weiser, 1994. 41. This will be presented in a forthcoming work tentatively titled Emptiness and Being, consisting of a number of essays that will first be posted online. Norma Rosen “Chalk Iconography in Olokun Worship” in African Arts, Vol. 22, No. 3 (May, 1989), pp. 44-53+88. JSTOR : http://www.jstor.org/stable/3336778 . Posted at http://obafemio.weebly.com/uploads/5/1/4/2/5142021/chalkiconographyinolokunworship.pdf. Accessed 16 March 2012. Rudolf Otto The Idea of the Holy. Oxford : Oxford UP, 1958. Quoted in Juliet Okonkwo, “Elechi Amadi “, Perspectives on Nigerian Literature, Vol. Two: 1700 to the Present. Ed. Yemi Ogunbiyi. Lagos :Guardian Books, 1988.147-153.162. Email communication. Friday, March16, 2012. Adepoju, Oluwatoyin Vincent “Unforgettable Teachers : Iro Eweka” at Scribd http://www.scribd.com/Toyin%20Adepoju/d/67088769-UNFORGETTABLE-TEACHERS-IRO-EWEKA and blogger: http://ifastudent-cognitivediary.blogspot.com/2011/10/unforgettable-teachers-iro-eweka.html. Saturday, October 01, 2011. Accessed 16/02/12. Amadi, Elechi, The Concubine. Ibadan : Heinemann, 1966. Baumer Bettina and John R. Dupuche. Void and Fullness in the Buddhist, Hindu and Christian Traditions : Sunya-Purna-Pleroma. New Delhi : D. K. Printworld, 2005. Barth, J. Robert, Romanticism and Transcendence: Wordsworth, Coleridge, and the Religious Imagination. Columbia : University of Missouri Press., 2003. Brown, Judith Simmer,Dakini’s Warm Breath: The Feminine Principle in Tibetan Buddhism, Boston: Shamballa, 2002. Bucke, Maurice, Cosmic Consciousness: A Study in the Evolution of Human Consciousness. New York: E. P. Dutton, 1969. Cao, Tian Yu , “Ontology and Scientific Explanation” in Explanations: Styles of Scientific Explanation. Edited by John Cornwall. London : Oxford UP, 2004. 173-195. Crowley, Aleister, Magick: Liber Aba : Book Four. Boston: Weiser, 1994. Dafiewhare, Esiri Personal communication. Benin-City. Ekpuk, Victor, Children of the Full Moon. http://www.victorekpuk.com/victorekpuk.com/drawings%28hide%29.html. Accessed16/02/12. Eweka, Iro, “We Are Because He Was” , the 3rd Jacob Uwadiae Egharevba Memorial Lecture on 8th December 2000 at the Oba Akenzua II Cultural Complex, Benin City. Posted at http://www.edo-nation.net/eghar3.htm. Accessed 16, March 2012. -----------------“Olokun Symbols”. Institute for Benin Studies. Accessed 2010. Currently inaccessible. Accessible at Scribd : http://www.scribd.com/doc/87261390/OLOKUN-SYMBOLS-BY-IRO-EWEKA . Accessed 29 , March 2012. Fortune, Dion. Sane Occultism in Sane Occultism and Practical Occultism in Daily Life. Wellingborough : The Aquarian Press, 1987. 13-119. “Isaac Newton in Popular Culture”, Wikipedia. http://en.wikipedia.org/wiki/Isaac_Newton_in_popular_culture . Accessed 29/03/1012. Milarepa. Tibet’s Great Yogi, Milarepa : A Biography from the Tibetan. Translated by the Lāma Kazi Dawa-Samdup and edited by Evans- Wentz, W. Y., ed Oxford : Oxford UP, 1969. Ogbonmwan, SEO “Adieu Prince ( Professor ) Iro Eweka”. Message #58442 on the Nigerian Identity Yahoo Group, Wed, March 14, 2012; 10:12 PM. http://groups.yahoo.com/group/NigerianID/message/58442 Accessed 16 March 2012. Okonkwo, Juliet “Elechi Amadi “, Perspectives on Nigerian Literature, Vol. Two: 1700 to the Present. Ed. Yemi Ogunbiyi. Lagos :Guardian Books, 1988.147-153.162. Otto, Rudolf, The Idea of the Holy. Oxford : Oxford UP, 1958. --------------------The Amber Spyglass. London: Scholastic, 2000. Rosen, Norma, “Chalk Iconography in Olokun Worship” in African Arts, Vol. 22, No. 3 (May, 1989), pp. 44-53+88. JSTOR : http://www.jstor.org/stable/3336778 . Posted at http://obafemio.weebly.com/uploads/5/1/4/2/5142021/chalkiconographyinolokunworship.pdf. Accessed 16 March 2012. Solanke, Akin, , Email communication. Friday, March16, 2012. ------------------The Man Died. London :Rex Collings, 1976 , A Shuttle in Crypt. London :Rex Collings, 1972. ----------------- Myth, Literature and the African World. Cambridge, Cambridge UP, 1990 . “Śūnyatā” , Wikipedia. Accessed 16/02/12. “ Three Marks of Existence”. Wikipedia.Accessed 16/02/12. Wordsworth, William.Wordsworth's Poetical Works, Volume 3: The Prelude or, Growth of a Poet's Mind : An Autobiographical Poem. Composed 1799-1805. Published 1850 .Edited by William Knight.1896. Archived at Project Gutenberg. http://www.gutenberg.org/files/12383/12383-h/Wordsworth3c.html. Accessed 02/04/12. Our con­fused first wak­ing mo­ments af­ter gen­er­al an­es­the­sia rep­re­sent a ru­di­men­ta­ry form of con­scious­ness that arises from an­cient brain struc­tures, new re­search con­cludes. The sci­en­tists in­volved de­scribed this mud­dled men­tal state as a “prim­i­tive” con­scious­ness based on deep brain struc­tures that hu­mans pos­sess in com­mon with many an­i­mals. The in­ves­ti­gat­ors didn’t take on the more diffi­cult ques­tion of whe­ther this vague aware­ness act­ually re­sem­bles an­i­mal con­scious­ness. But they did say that stud­ies of the an­es­the­tized brain could shed light on how that mys­te­ri­ous qual­ity, con­scious­ness, arises in our brains and emerged in ev­o­lu­tion. The re­search­ers used scans to ex­am­ine vol­un­teers’ brains as they woke from gen­er­al an­es­the­sia. Mean­while, the ex­pe­ri­menters who had awo­ken them as­sessed their lev­el of aware­ness, based on their re­sponses to a spo­ken com­mand. “The cen­tral, co­re struc­tures of the more prim­i­tive brain struc­tures… ap­peared to be­come func­tion­al first, sug­gest­ing that a founda­t­ional prim­i­tive con­scious state must be re­stored be­fore high­er-or­der con­scious ac­ti­vity can oc­cur,” ex­plained Har­ry Scheinin of the Uni­vers­ity of Tur­ku in Fin­land, who led the stu­dy. The brain ar­eas in­volved in these fuzzy early stages of aware­ness are known as the brain stem, thal­a­mus, hypothal­a­mus and the an­te­ri­or cin­gu­late cor­tex, he ex­plained. This ex­cludes the out­er re­gion of the brain, called the cor­tex, which is a rel­a­tively re­cent ev­o­lu­tion­ary de­vel­op­ment most fully de­vel­oped in hu­mans. Twen­ty-two young, healthy vol­un­teers went un­der an­es­the­sia for the study us­ing ei­ther of two pow­er­ful anes­thet­ics, dexme-detomidine or propo­fol. The first is used as a sed­a­tive in in­ten­sive care; its ef­fect is thought to closely re­sem­ble nor­mal sleep, as it can be re­versed with mild stimula­t­ion or loud voices at nor­mal doses. Propo­fol is widely used for gen­er­al an­es­the­sia, and is al­so the sub­stance that—im­properly used as an all-around sleep aid—was al­legedly con­nect­ed to pop sing­er Mi­chael Jack­son’s death. De­spite dif­fer­ences be­tween the drugs, the brain pro­cesses seen in the wak­ing vol­un­teers were si­m­i­lar in both cases, said the in­ves­ti­ga­tors, who re­ported their find­ings in the April 4 is­sue of The Jour­nal of Neu­ro­sci­ence. As full aware­ness bloomed, the “prim­i­tive” brain ar­eas be­came linked through elec­tri­cal nerve ac­ti­vity with more ad­vanced ar­eas called the front­al and in­fe­ri­or pa­ri­e­tal cor­tex. The type of brain scan­ning used was pos­i­tron emis­sion to­mog­ra­phy, which em­ploys rad­ia­t­ion, or nu­clear med­i­cine im­ag­ing, to pro­duce three-di­men­sion­al, col­or im­ages of pro­cesses with­in the body. Show­ing which brain mech­a­nisms are in­volved in the emer­gence of the con­scious state is an im­por­tant step for­ward in the sci­en­tif­ic ex­plana­t­ion of con­scious­ness, ac­cord­ing to the re­search­ers. Yet much harder ques­tions re­main, they stressed: how and why these neu­ral mech­a­nisms cre­ate the sub­jec­tive feel­ing of be­ing, the aware­ness of self and en­vi­ron­ment, that char­act­er­ize con­scious­ness.